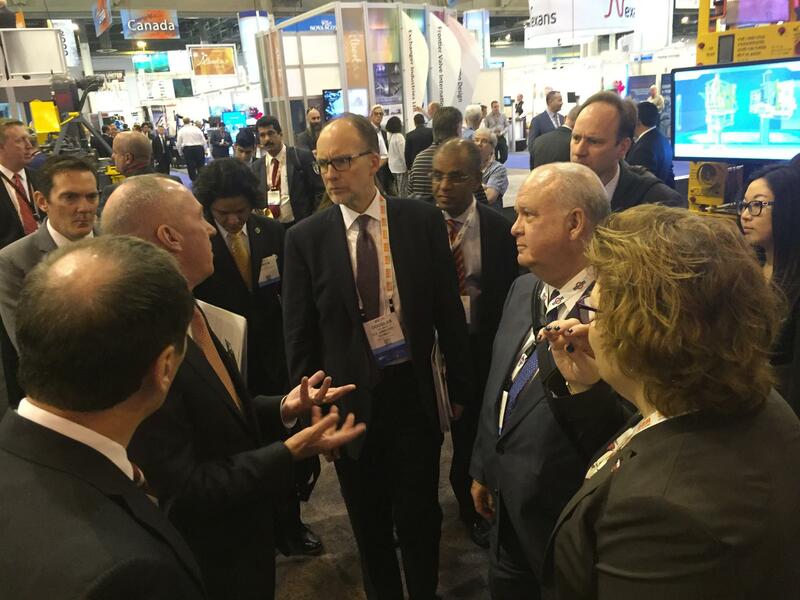 PESA hosted a delegation visit at Offshore Technology Conference (OTC) this month. US Ambassador to Kuwait Douglas Silliman, US Ambassador to Saudi Arabia Joseph Westphal, and US Ambassador to UAE Barbara Leaf visited PESA Member Companies. The delegation is pictured at the FMC Technologies booth with PESA Board Member Richard Alabaster, VP Surface Technologies and PESA Past Chairman John Gremp, Chairman of the Board & CEO.